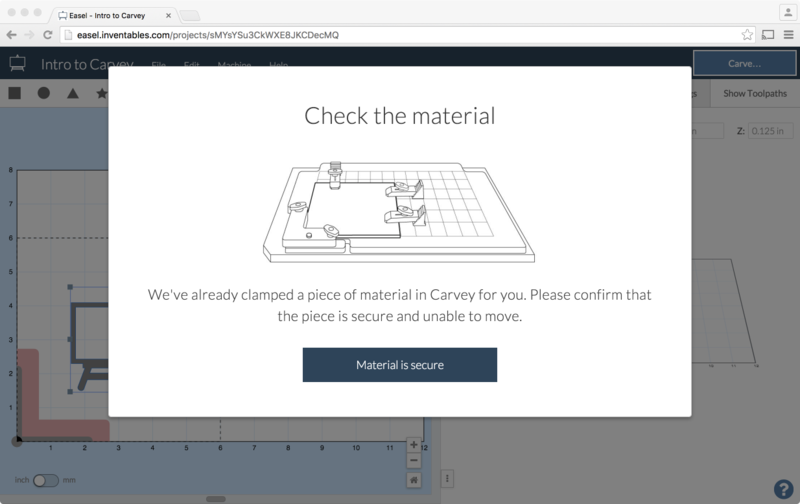 This was already covered in the Unboxing however, we will begin this section with the first job for the sake of redundancy. 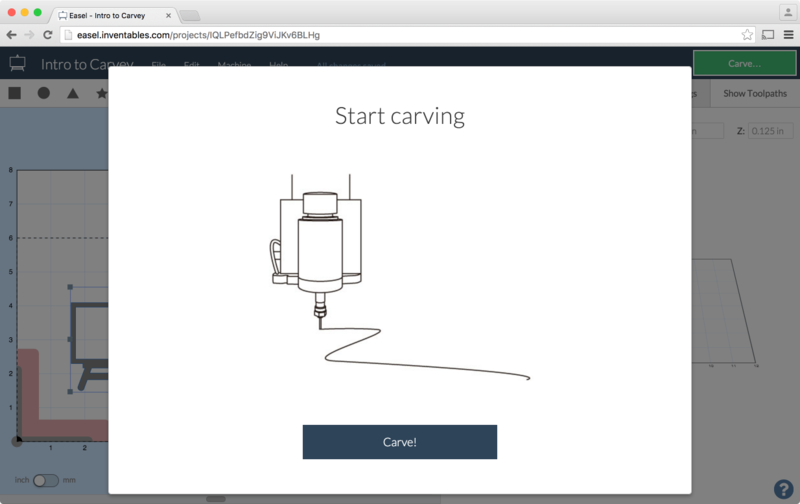 Once you have your machine plugged in to the wall, you can open your browser and go to http://easel.inventables.com/carvey/ and follow the instructions that guide you through the process. 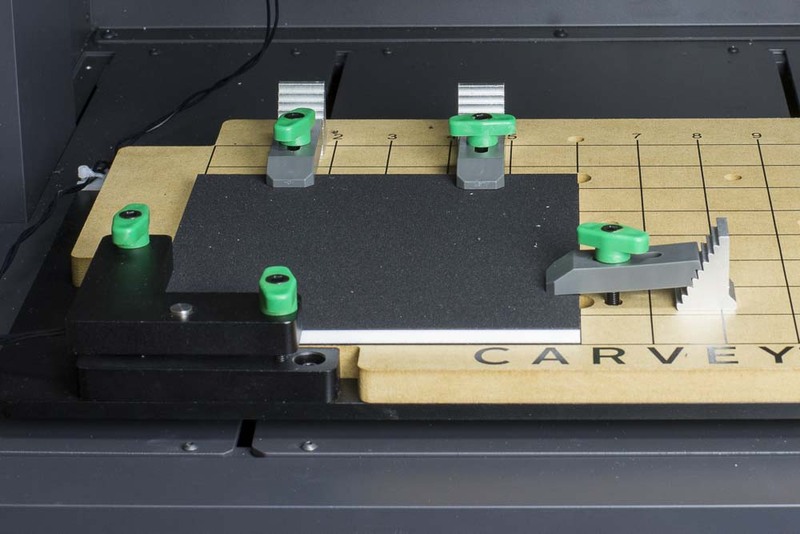 Double check that the material is clamped firmly by the Smart Clamp on the lower left corner. 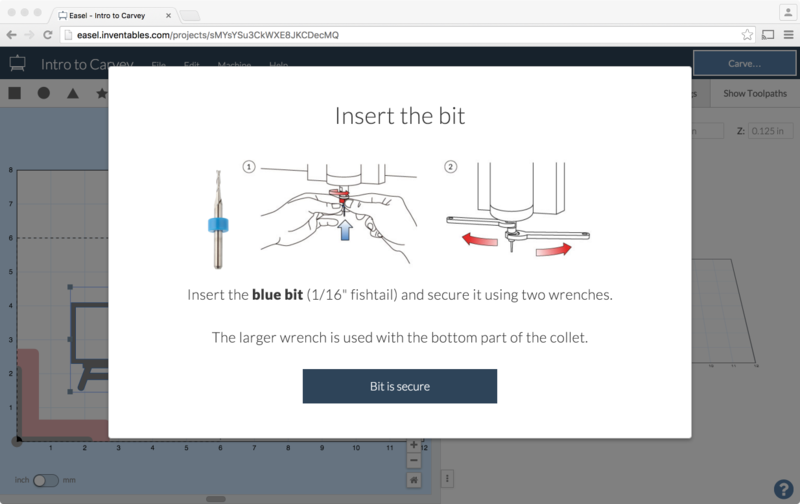 It should look like this: Insert the 1/16” fishtail bit into the collet and tighten the nut with the supplied 13mm and 17mm wrenches. 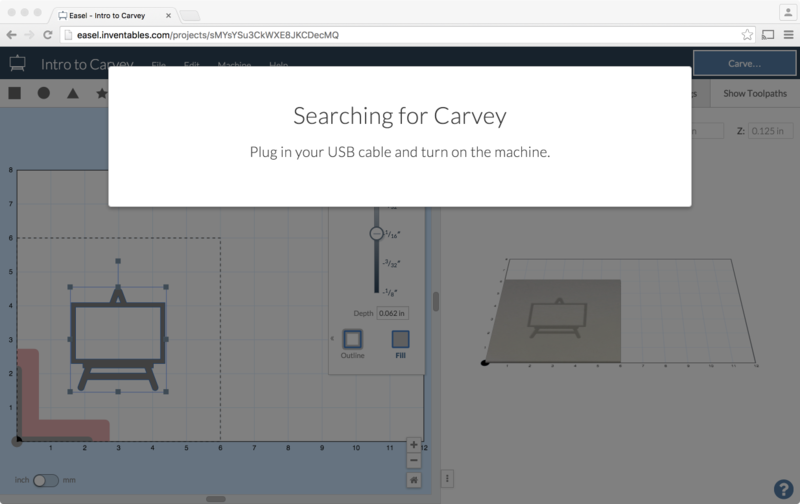 Now you can plug in your Carvey if you haven’t done so already. 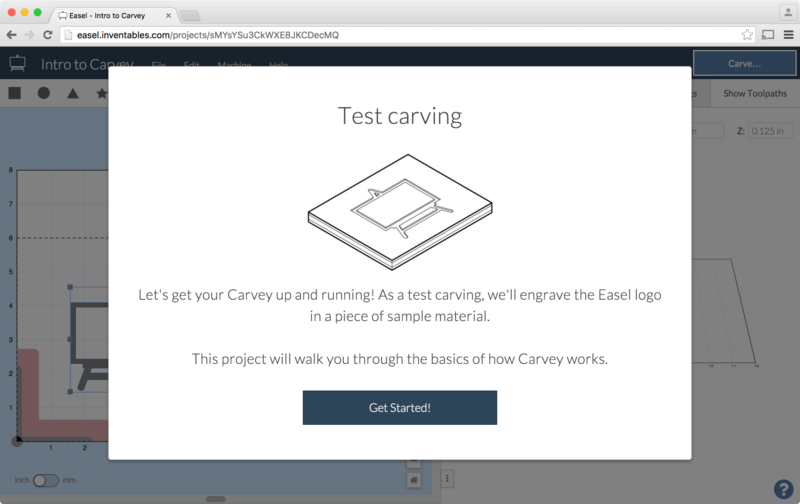 Click the ‘Carve!’ button to begin. 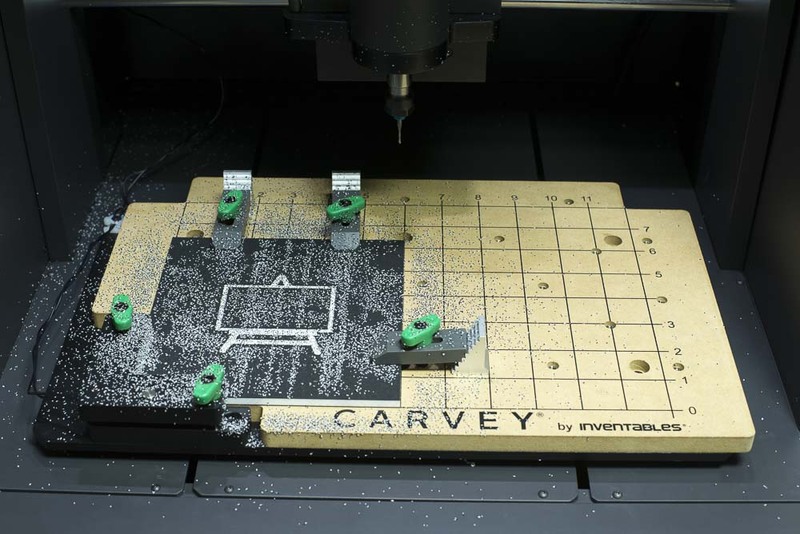 After the job is complete you can open your Carvey and remove the material.